Last year, the number of mobile developers and publishers who were cheated when acquiring new app users doubled. That kind of fraud means a whole lot of people are paying good money for bad users. It’s not surprising. The mobile market has heated up so much that as your user acquisition campaigns scale – across more channels, more markets, using more sophisticated automation -- you’re bound to run across bad traffic. You know something’s up because conversion rates suddenly drop. Install numbers stop synching up. Your business intelligence is stumped. Someone is claiming conversions that never happened! The good news? You can greatly reduce the risk. We’ve brought together a stellar round-up of pros who have diagnosed, identified, and successfully pushed back fraudulent activity in extensive UA operations. Each will share their experience from the front-lines on how to combat mobile fraud. * Learn how datasets can be cleaned and payouts reclaimed once fraud is identified. 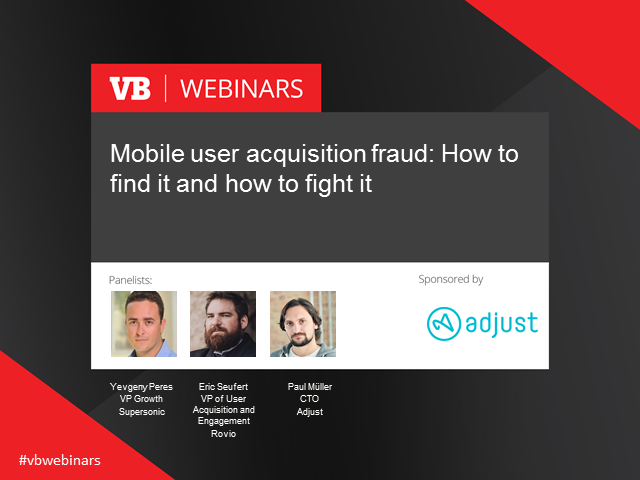 Don't miss this insightful and interactive panel discussion on mobile fraud. Register today!